A year ago, on June 11th 2015, that Ornette Coleman passed away, aged eighty-five. Music had lost a true legend, whose album Free Jazz: A Collective Improvisation lent its name to a musical genre, free jazz. It’s the genre that Ornette Coleman became synonymous with. However, two years earlier, this nascent genre had no name. Ornette Coleman released his Atlantic Records’ debut in 1959. The Shape of Jazz to Come hinted that jazz was changing. However, it wasn’t until the release of Ornette Coleman’s fourth album for Atlantic Records, Free Jazz: A Collective Improvisation that the genre was christened. Suddenly, free jazz was born. It was being hailed the most exciting development in jazz, and Ornette Coleman was one of its most innovating practitioners. His story began in 1930. It was on March 9th, 1930, that Ornette Coleman was born Randolph Dernard Ornette. He was born and brought up in Forth Worth, Texas, where his musical skills were apparent from an early age. A true multi-instrumentalist, Ornette played saxophone, violin and trumpet and composed music. His trademark sound is blues-based, with a crying, keening timbre. Growing up, Ornette played in his high school band, but was thrown-out, for jamming during a rendition of Washington Post. As a teenager, Ornette formed a band, with fellow students Prince Lasha and Charles Moffett. Then in 1949, he started playing with Silas Green, in his R&B show. It was during a show in Baton Rouge, that Ornette was assaulted and his saxophone destroyed. This resulted in Ornette changing to alto-saxophone. After the Baton Rouge assault, Ornette decided to leave Silas Green’s band. After leaving Silas Green’s band, Ornette joined Pee Wee Crayton’s band. When he wasn’t making music, Ornette worked a variety of jobs, including lift operator. Still, he was determined to make a living playing music. Other musicians, however, didn’t understand Ornette’s style of music. From his high school days, Ornette had a unique musical style. Schooled in R&B and bebop, Ornette’s approach to chord progression and harmony was very different. It was much more fluid. He played what heard in his head, which coupled with his blues’ influence, may have resulted in the rawness in Ornette’s playing. For some musicians, they thought Ornette was out-of-tune. That wasn’t the case. Unlike them, Ornette was a visionary, an innovator, a musician who’d become one of the giants of free jazz. Even though many musicians didn’t understand Ornette Coleman, he was gradually building up a group of influential supporters. This included pianist Paul Bley, who later collaborated with Ornette. Paul however, didn’t feature on Ornette’s 1958 debut album Something Else. Released on Contemporary Records, Something Else featured Don Cherry on trumpet and Walter Norris on piano, as be bop combined with free jazz. Ornette released his sophomore album in 1959s. Tomorrow Is The Question was also released on Contemporary Records. All of sudden, people were taking notice of Ornette Coleman. They were “getting” Ornette’s unique sound and approach to jazz. So it was no surprise that in 1959, Ornette Coleman signed to what was then, one of the biggest record labels, Atlantic Records. They had a huge roster, and released an eclectic selection of music. This included everything from blues, R&B, soul and of course, jazz. Ornette Coleman was their latest signing. Atlantic Records was home to Ornette Coleman between 1959 and 1962. During that time, he entered the studio ten times. The first time came on 22nd May 1959, when Ornette Coleman made his way to Radio Recorders in Hollywood, California. With his quartet, Ornette Coleman recorded eight tracks. This included the six tracks that became The Shape Of Jazz That To Come. It was released in October 1959, and was the first of six albums released by Ornette Coleman between 1959 and 1962. During the ten sessions Ornette Coleman recorded between 1959 and 1962, a total of fifty-eight tracks were recorded. Atlantic Records, just like all jazz labels, would get their money’s worth. Following the release of Ornette On Tenor in December 1962, Ornette Coleman left Atlantic Records. However, there were still thirty-six tracks unreleased. This proved enough for another three albums. These nine albums include some of the best and most innovative music of Ornette Coleman’s career. He was one of the founding fathers of free jazz, who came of age at Atlantic Records. The Shape Of Jazz To Come. Having served his musical apprenticeship, Ornette Coleman was more than ready to sign to a major label. On his first two albums, Ornette Coleman pioneered this new musical genre. Some likened it do avant garde. Others thought that what Ornette Coleman and his band were playing had an experimental sound. However, after his first session with ‘producer’ Nesuhi Ertegun, he had the answer to this conundrum. On 22nd May 1959, Ornette Coleman made his way to Radio Recorders in Hollywood, California. Joining him, were the other three members of his quartet, drummer Billy Higgins, bassist Charlie Haden and Don Cherry on cornet. They recorded eight tracks with Ornette Coleman recorded eight tracks. These tracks followed a different format to what most musicians were used to. Each of the eight compositions Ornette Coleman’s quartet record a brief thematic statement. After that, there were several of minutes of free improvisation. Then they revisit the main theme. While this may sound similar to bebop, there’s a big difference. Advocates of free jazz abandoned the use of chord structures. Having listened to Ornette Coleman’s quartet pioneer this nascent genre, Nesuhi Ertegun had an idea for the album title. 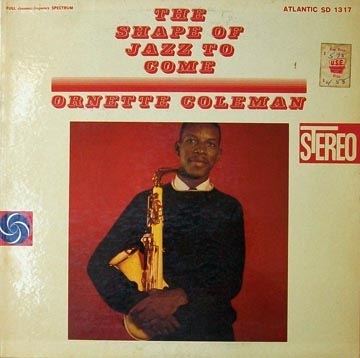 Ornette Coleman’s Atlantic Records’ debut was The Shape Of Jazz To Come. It was released in October 1959, and initially, divided the opinion of critics. Some critics and cultural commentators hailed the music on The Shape Of Jazz To Come as innovative and inventive. Lonely Woman, the album’s opener was seen as a future classic. That proved prescient. Nowadays, Lonely Woman is a jazz standard. These critics that forecast this, and realised the importance of The Shape Of Jazz To Come knew that something important was happening. So did some of Ornette Coleman’s peers and contemporaries. They realised that potentially, this new musical movement could be the biggest innovation since bebop. Especially when Ornette Coleman began a two week residency at the Five Spirit on November 17th 1959. It became the hottest ticket in town. Ornette Coleman’s residency was extended, and eventually, last two-and-a-half months. It seemed Ornette Coleman was well on his way to becoming one of the major players in jazz. Not everyone agreed. The lack of chordal structure proved controversial. Up until then, a pianist and guitarist gave compositions chordal structure. Not on The Shape Of Jazz To Come. That was jazz’s past. Another criticism was the harsh timber of Ornette Coleman’s saxophone. However, this wasn’t surprising. He eschewed the finest saxophone, instead, preferring a plastic Grafton saxophone. This he believed gave his music, a “harmolodic” sound, which was a fusion of harmony, movement, and melody. There was a reason for this. Harmonic accompaniment, Ornette Coleman believed, wasn’t important. Instead, he focused merely on improvising melodies and variations on themes and motifs. Proof of this could be found on The Shape Of Jazz To Come, which in 1959, was recognised as an important, innovative and inventive album. It was also an album that changed jazz. At the forefront of this new musical movement was Ornette Coleman. By the time that The Shape Of Jazz To Come was released, Ornette Coleman had been back in the studio twice. On the 8th October 1959, Ornette Coleman and the his band recorded four tracks. That day, Don Cherry switched from cornet to pocket trumpet. Then the following day, 9th October 1959 another five tracks were recored. Seven of these tracks became Change Of The Century. When Change Of The Century was released in June 1960, it was to widespread critical acclaim as The Shape Of Jazz To Come. There were no dissenting voices. Ornette Coleman critics realised, was a trailblazer, and with his fellow travellers, was the future of jazz. Drummer Ed Blackwell had replaced Billy Higgins. Seamlessly, he slotted into the rhythm section alongside bassist Charlie Haden. Once the nine tracks were recorded, the band took a break for a week. Ornette Coleman and his band returned on the 26th August 1960. That day, they recorded eleven songs. This was enough for two albums at least. It seemed that Atlantic Records were stockpiling recordings. This was nothing new. Record companies had been doing this since the musician’s strike two decades ago. Never again, would they be short of material to release. Music was a record company’s lifeblood. Nesuhi Ertegun realised this. So on August 2nd 1960, Ornette Coleman and his band returned to Atlantic Recoding Studio, New York. That day, they recorded three of the tracks that featured on Ornette Coleman’s next album, This Is Our Music. Not content with recording Ornette Coleman’s next album, Nesuhi Ertegu decided that the band began work on the next album, Free Jazz: A Collective Improvisation. Just as 1960 was drawing to a close, Ornette Coleman’s band found themselves A&R Studios, New York between 19th and 21st December. The first two days were spent recording two tracks for a new project, John Lewis Presents Contemporary Music Jazz Abstractions. It featured music composed by Gunther Schuller and Jim Hall. This new project allowed Ornette Coleman to work with different musicians. So on Monday 19th December, six days before Christmas, Ornette Coleman was due to record the Gunther Schuller and Jim Hall composition, Abstraction. It featured an expanded lineup of Ornette Coleman’s band. On Tuesday 20th December 1960, Ornette Coleman and another expanded lineup of his band were due to record Variants On A Theme Of Thelonious Monk. The lineup read like a who’s who of jazz. In the rhythm section alongside drummer Sticks Evans; were bassists Scott LeFaro and George Duvivier; and guitarists Jim Hall. Pianist Bill Evans joined Eddie DeCosta on vibes and flautist Robert DiDomenica and Eric Dolphy on alto saxophone, flute and clarinet. Adding the finishing touch, were The Contemporary String Section. This all-star lineup recorded one of the most complex suites Ornette Coleman’s band had recorded. When Variants On A Theme Of Thelonious Monk was completed, it would find its way onto the the 1961 album John Lewis Presents Contemporary Music Jazz Abstractions. However, on the final day of the session, Ornette Coleman recorded two tracks for his own career. 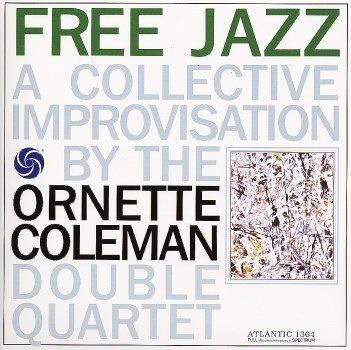 Wednesday 21st December 1960, Ornette Coleman’s band recorded two tracks, including Free Jazz, which was destined for Free Jazz: A Collective Improvisation. It featured a double quartet. This was unheard of. Ornette Coleman decided that a different quartet feature on the right and left channel. On the left channel, was Ornette Coleman on alto saxophone, Don Cherry’s pocket trumpet and a rhythm section of drummer Billy Higgins and bassist Scott LeFaro. The right channel featured a rhythm section of drummer Ed Blackwell and bassist Charlie Haden. They were joined by trumpeter Freddie Hubbard and Eric Dolphy on bass clarinet. With this expanded lineup, Ornette Coleman was making the music of the future. It was an exciting time, and one that could change music. Before that, however, This Is Our Music was released. Having recorded twenty-three tracks during the last three sessions, there was plenty of music to choose from. Eventually, seven tracks were chosen. This included a cover of George and Ira Gershwin’s Embraceable You. It was the first time Ornette Coleman’s had covered a jazz standard. However, never had Embraceable You been covered the way Ornette Coleman did on This Is Our Music. The release of This Is Our Music in February 1961, was Ornette Coleman’s third release for Atlantic Records, and his fifth album overall. This Is Our Music marked the first release from the new lineup. However, what didn’t change, was the critics response to This Is Our Music. Described as inventive and innovative, Ornette Coleman was one of the pioneers of this new and exciting musical movement. It still didn’t have a name. That would soon change. Free Jazz: A Collective Improvisation. Just over a month after their last recording session, Ornette Coleman’s band returned to Atlantic Recording Studios, New York. There was a new member of the band. Scott LaFaro had replaced Charlie Haden. Over the last six months, a new rhythm section had joined Ornette Coleman’s band. This latest lineup was all set to make their debut on 31st January 1961. The tapes started rolling at 3pm on 31st January 1961. By 7.30pm, another seven tracks were in the can. By now, Atlantic records still had twenty-three unreleased tracks. At this rate, they had enough for at least three albums. Despite this, less than two months later, Ornette Coleman’s band would return to the same studio. 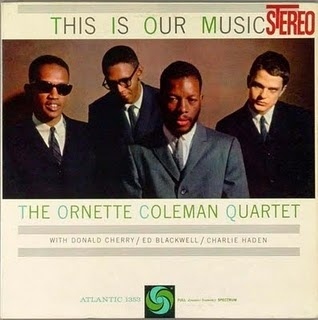 Wednesday March 21st 1961 found another new lineup of Ornette Coleman’s band at Atlantic Recording Studios, New York. Jimmy Garrison was the new bassist, and replaced Scott LaFaro. This new lineup only recorded one track, EOS, which found its way onto Ornette On Tenor. Recording of that album was completed on Monday, March 27th 1961. That was the last time Ornette Coleman’s band returned to Atlantic Recording Studios, New York. Never again, would Ornette Coleman record for Atlantic Records. However, that day proved productive. 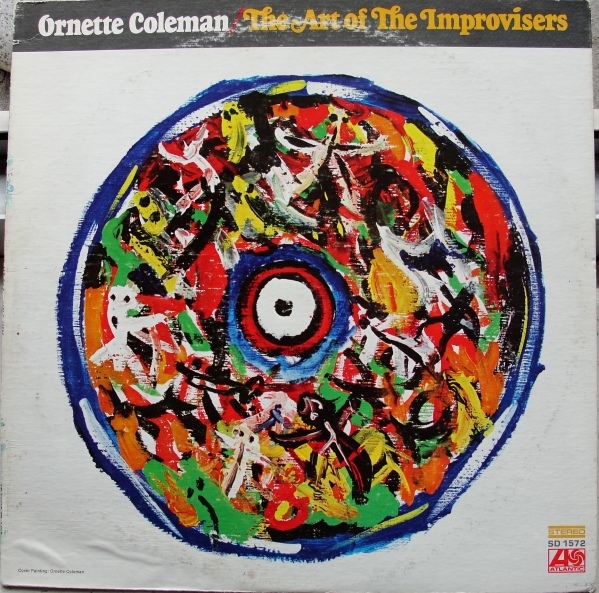 Ornette Coleman’s band recorded five tracks for Ornette On Tenor, and Harlem’s Manhattan for Art Of The Improvisers. This session marked the end of era for Ornette Coleman. Not for Atlantic Records. It was ironic that Ornette Coleman’s contract with Atlantic Records was over. When Free Jazz: A Collective Improvisation was released in September 1961, it was a game-changer. Critics listened intently to Free Jazz: A Collective Improvisation. Each side featured one lengthy track. Free Jazz (Part One) filled side one, and lasted nearly twenty minutes. On side two, Free Jazz (Part Two) lasted just over sixteen minutes. On both tracks, the two rhythm sections played as one. Then came the solos, where the soloists were allowed the freedom and opportunity to improvise on the two tracks. No longer were musicians constrained, they were allowed the opportunity to take the music wherever they wanted. This was revolutionary music. So it was fitting that the album cover featured Jackson Pollock’s painting The White Light. Just like so many landmark albums, Free Jazz: A Collective Improvisation divided opinion. Critics either loved or loathed the album. There was no middle ground. Most reviews were filled with praise and plaudits. Some critics saw no merit in Free Jazz: A Collective Improvisation. To them, it was forty minutes of their life they would never see again. However, since then, Free Jazz: A Collective Improvisation is regarded as one of the most innovative and influential free jazz albums. 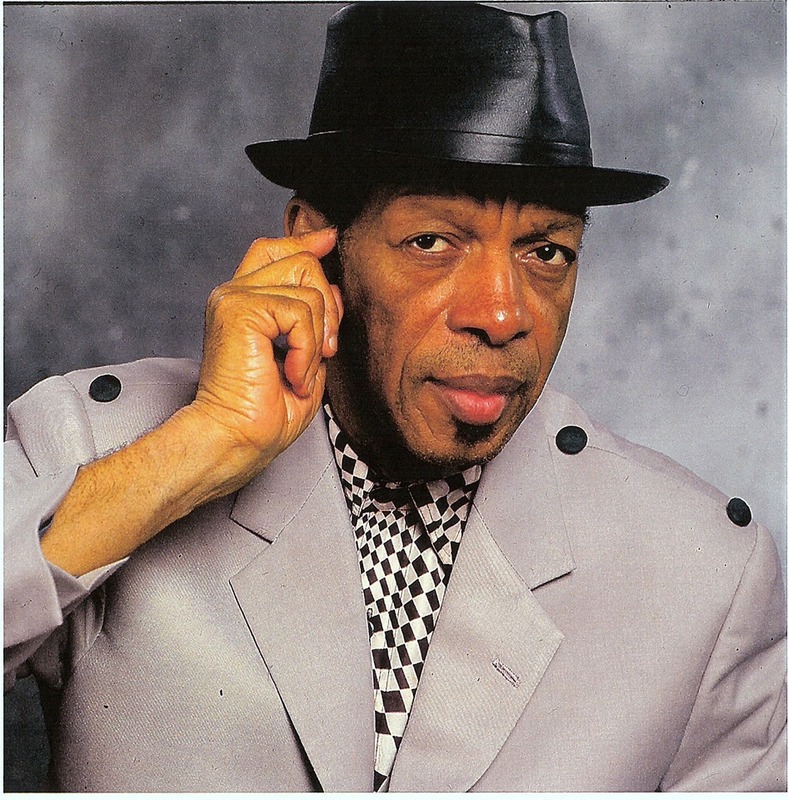 For Ornette Coleman, who had left Atlantic Records, it must have been a bittersweet moment. His latest album would lend its name to a genre, free jazz. Free Jazz: A Collective Improvisation was also being hailed one of the most innovative and influential albums in the nascent free jazz genre. To add to the irony, Atlantic Records had plenty more music to release. 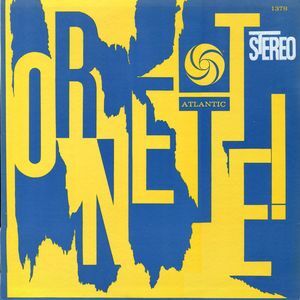 Just five months after the release of the groundbreaking Free Jazz: A Collective Improvisation, Atlantic Records released Ornette! in February 1962. It was the first album to feature Scott LaFaro on bass. He played his part in an album where elements of free jazz and avant garde combined on the four tracks on Ornette! These four tracks, W.R., U, T and T, C and D, R.P.D.D. were an acronym of Sigmund Freud’s Wit and Its Relation To The Unconscious, Totem and Taboo. Civilization and Its Discontents, and the essay Relation of the Poet to Day Dreaming. This was a first. Never before had a jazz musician been inspired founding father of psychoanalysis. Ornette! was released to widespread critical acclaim. While Ornette! was released to critical acclaim, it didn’t match the quality of Free Jazz: A Collective Improvisation. That was Ornette Coleman’s Magnus Opus. However, Ornette! didn’t divide opinion in the same way as Free Jazz: A Collective Improvisation. It seemed that Ornette Coleman could do no wrong. That however, was about to change. Twenty-one months after Ornette Coleman’s last recording session for Atlantic Records, Ornette On Tenor was released in December 1962. It was Ornette Coleman’s eight album, and sixth for Atlantic Records. 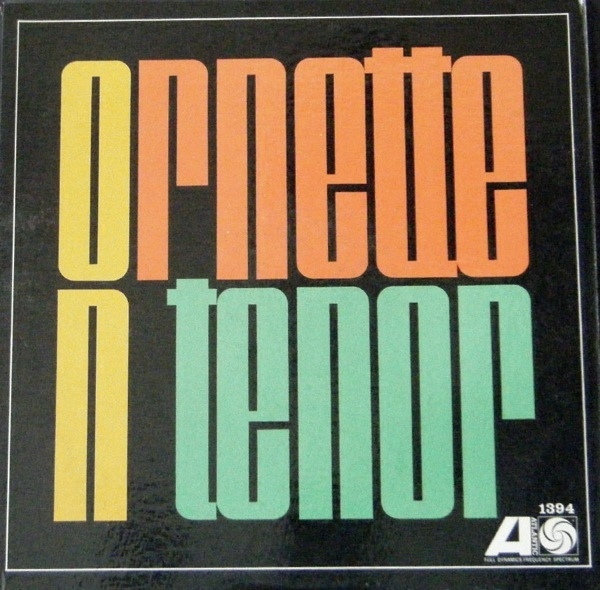 Ornette On Tenor featured further changes to the lineup of Ornette Coleman’s band. Jimmy Garrison replaced Scott DeFaro on bass. The other change was Ornette Coleman switched from alto to tenor saxophone. This wasn’t the success he hd hoped. When Ornette On Tenor was released in December 1962, critical opinion was, once again divided. Some critics called the album a classic. They thought that the Ornette Coleman Quartet were continuing to revolutionise jazz. Others disagreed. They thought Ornette On Tenor was the weakest by the Ornette Coleman Quartet. The album, in their opinion, wasn’t regarded as as innovative or groundbreaking as its predecessors. Once again, Ornette Coleman had divided opinion, with what was meant to be his Atlantic Records’ swan-song. After that, Ornette Coleman became something of a musical nomad. He flitted between labels, never spending long at any label. Briefly, Columbia and Impulse were home to Ornette Coleman. The exception was Blue Note, where he released three albums. Ornette Coleman’s Blue Note years began with 1966s The Empty Foxhole. Two years later, in 1968, Ornette Coleman released New York Is Now. Later in 1968, Ornette Coleman’s Blue Note years were at an end, when Love Call was released. After this, Ornette Coleman’s signed to Impulse Records. At Impulse Records, Ornette Coleman released just two albums. The first was Ornette At 12, which was released in late 1968. It was another album that divided the opinion of critics and record buyers. Things improved in 1969, when Ornette Coleman released the live album Crisis, which critics felt marked a return to form from Ornette Coleman. However, after the release of Crisis, Ornette Coleman found himself without a record label. While labels recognised Ornette Coleman’s undoubtable skill, they seemed reluctant to sign him. However, Bob Thiele took a chance on Ornette Coleman, and signed him on a one album deal. The result was Friends And Neighbors-Ornette Live At Prince Street. Ornette Coleman’s second live album in two years found the founding father of free jazz back to his inventive best. Along with his Friends And Neighbors-Ornette Live At Prince Street showed that Ornette Coleman still a pioneer, who had much to offer music. Maybe that what’s made Atlantic Records release The Art Of The Improvisers. The Art Of The Improvisers. When The Art Of The Improvisers was released in 1971, many record buyers presumed that Ornette Coleman was back at Atlantic Records. They were wrong, very wrong. The Art Of The Improvisers had been recorded between May 22nd 1959 and 31st January 1961. This meant the music was between ten and twelve years old. Despite a moderne album cover, the music on The Art Of The Improvisers sounded as if it had been recorded a decade ago. There was a big difference to what Ornette Coleman had been releasing recently. However, some critics and record buyers welcomed this return to the past. This was when Ornette Coleman released the best music of his career. While this was all very revisiting the vaults once, if Atlantic Records did this too often, there would be the sound of the barrel being scrapped. 1971 saw Atlantic Records return to the well for the five tracks that became Twins. It was released on October 4th 1971. Just like The Art Of The Improvisers, Twins wasn’t a new album of material. The five tracks that became Twins, were recorded between 8th October 1959 and 2nd August 1960. This meant that Little Symphony had been recorded two decades ago. However, it wasn’t just Atlantic Records who were doing this. Many jazz labels were releasing tracks that had been recorded many years previously. Some of the tracks had been initially regarded as outtakes. However, if an artist’s career was enjoying an Indian summer, their old record companies would sometimes release an album of unreleased tracks. They knew that those who had purchased their previous albums. Often they were in for a surprise. When critics heard Twins, they realised that just like The Art Of The Improvisers, it was an album from Ornette Coleman’s classic era. Some critics realising that Twins didn’t feature new material overlooked the album. They missed a hidden gem of an album. 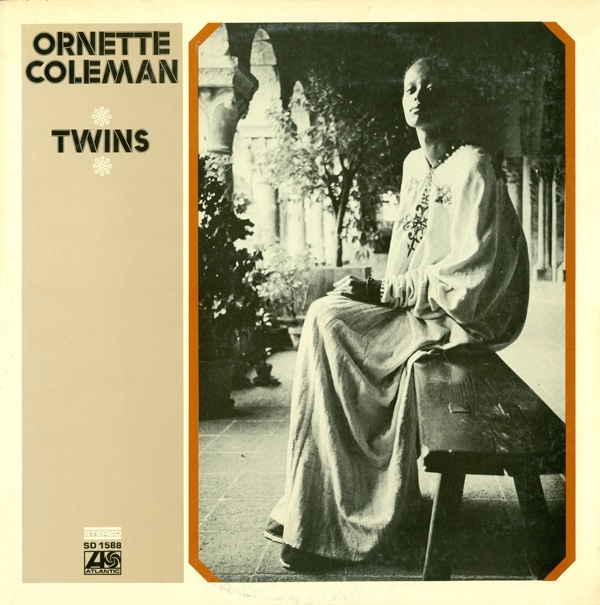 Twins features some masterful performances from Ornette Coleman. Aided and abetted by his usual, tight, talented band, apart from on Little Symphony and Joy Of A Toy, Ornette Coleman turns back the clock. The music is variously uptempo, soulful, bluesy and features masterful interplay between Ornette Coleman and Don Cherry. They’re like two master craftsmen as they weave their way across Twins, reminding listeners what Ornette Coleman in his prime, sounded like. That looked like it was the last Ornette Coleman album Atlantic Records would release. However, it wasn’t. To Whom Who Keeps A Record. Late 1975, which was over four years since the release of Twins, Warner Japan released To Whom Who Keeps A Record. The album was released only in Japan. That’s despite Ornette Coleman having a worldwide fan-base. They missed out on an album of uncompromising, fiery and provocative free jazz. 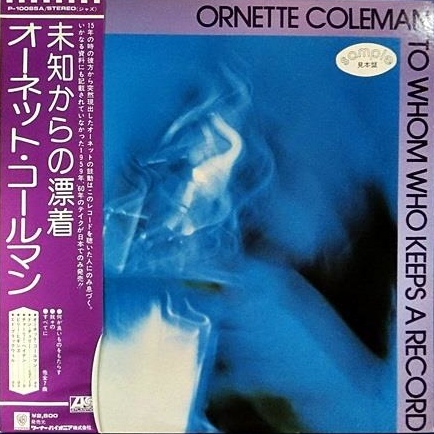 It was well received in Japan, forty years ago, and is a welcome addition to Ornette Coleman’s discography. 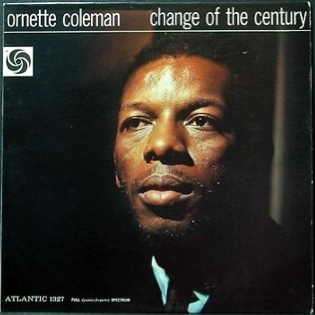 Despite over fifty albums bearing Ornette Coleman’s name being released, the albums he released at Atlantic Records included some of the best music. Ornette Coleman released a total of nine albums for Atlantic Records between 1959 and 1975. These albums find one of the founding fathers of free jazz at his most inventive and innovative. Freed from the constraints of bebop, Ornette Coleman and his band embark upon what was akin to a series of musical adventures. During these adventures, they push musical boundaries to their limits, and sometimes way beyond. They challenge what was conventional thinking, and create music that’s ambitious, groundbreaking and innovative. This new genre of music free jazz, was the future of music. It was far removed from the blandness of the Cool School, and the constraints of bebop. Ornette Coleman was at the vanguard of this new musical movement. That’s not surprising. Ornette Coleman was one of jazz’s most innovative and inventive musicians and composers in the history of jazz. Bold, and unafraid to produce cutting-edge music, Ornette Coleman produced music that was challenging music, music that challenged musical norms. Realising musical rules were there to be broken, Ornette Coleman set about breaking these rules. However, Ornette Coleman knew when to break the rules. By breaking these rules, Ornette Coleman created some of the most inventive, influential and innovative music in the history of jazz. This was music that fused various musical genres and influences. Bebop, free-jazz, blues, avant-garde and experimental music all influenced Ornette Coleman’s music. These genres and influences were thrown into the melting pot of one of the most creative and inventive musicians of the twentieth century. 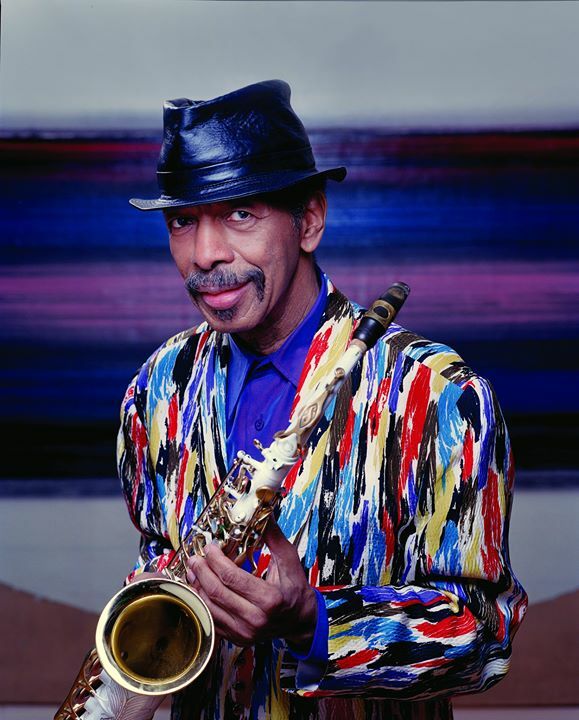 Sadly, Ornette Coleman died on June 11th 2015, that Ornette Coleman passed away, aged eighty-five. Music had lost a true legend, whose album Free Jazz: A Collective Improvisation lent its name to a musical genre, free jazz. Free Jazz: A Collective Improvisation was Ornette Coleman’s Magnus Opus, and was recorded during what was the most productive and fertile period of his career. That was the three years he spent at Atlantic Records. During the Atlantic Records’ years, Ornette Coleman recorded enough music for nine albums. This included some of the best music of Ornette Coleman’s his long and illustrious career. ← JODY REYNOLDS-THE COMPLETE DEMON AND TITAN MASTERS. A labour of love for an important player … so good with Charlie Haden & Don Cherry! Thanks for your comments. Ornette Coleman was a musical pioneer, whose much missed. Seen it a year to the day since Ornette Coleman passed away, I thought I’d write my own tribute to the great man. Glad that you enjoyed it.